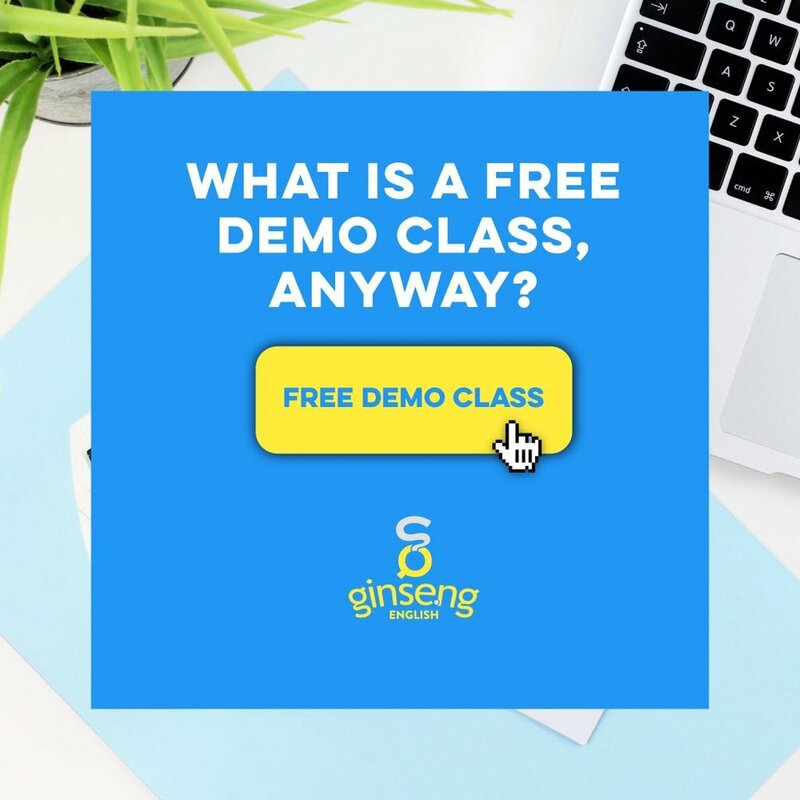 What is a Free Demo Class, Anyway? You may have seen this button on the Ginseng homepage and wondered, what is a "free demo"? What happens if I click this button!? Is it really FREE? Are there any strings attached? What happens next? Well, let me see if I can help to answer your questions! We think our classes are pretty great, but you can't know that this is true unless you try one out, right?! That is where a free demo class comes in. Demo is short for demonstration, which means we are showing you something. You might go for a demo, or a test drive, at a car dealership if you're thinking about buying a car, or you could get a free demo of a new computer software that your company is considering buying. A "demo class" at Ginseng is a short, 30 minute sample of an online class class. You get to meet one of our teachers, see some of our fancy materials, and check out the follow-up emails we'll send you. So, what happens when I actually click that button? When you click on this button, you will need to fill out a short form and then I will get an alert from you. But wait, who am I?! Great question. My name is Sarah, and I work for Ginseng. It is my job to help you with pretty much anything that you need from our online English school! You can ask me anything you want about our school, and I will do my best to help you out! When I receive your free demo request, I will e-mail you to set up a time to video chat 📹 to learn more about what you are looking for. We can talk on Skype, Google Hangouts, WeChat, WhatsApp, Facetime—you name it! How long you've been studying English? Why is learning English important to you? What part of English do you want to study the most? What time is good for you to have classes? It is up to you to choose what you want your free class to be about. It can be focused on just about anything English, such as pronunciation, grammar, writing and conversation! We will also talk about what times are good for your free class. 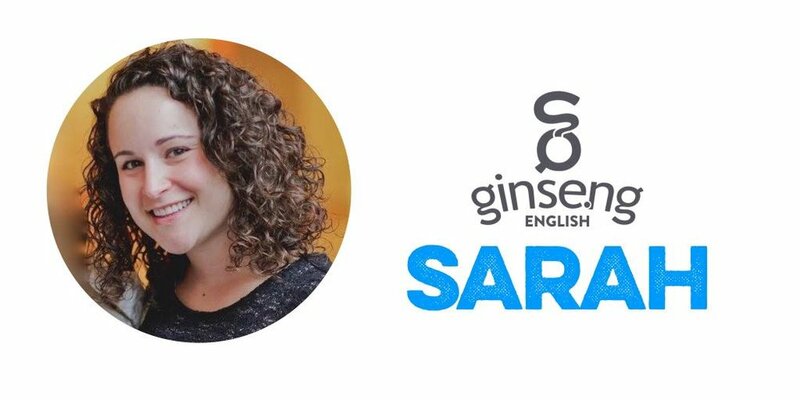 After we speak, I will talk to our team here at Ginseng and find you the best online English teacher for your educational goals, and your availability. But wait, is it really free? Yes! Your 30 minute demo class is completely free. If you like what you see, we would love for you to share Ginseng English with your friends, and maybe even sign up for a class or two! Great! So, take a moment to click the "request demo" button and fill out the form. Soon, you'll be hearing from me! Who knows, we might even become friends! My name is Sarah and I have 8 years of experience working with international students studying in the United States, most recently at Berklee College of Music in Boston. I share your passion for adventure, and am currently traveling through Asia as part of the Ginseng English Anywhere tour!